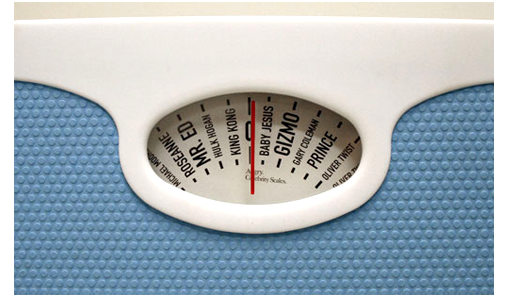 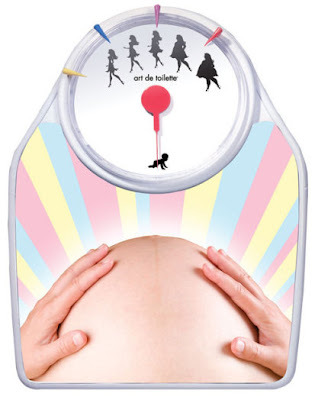 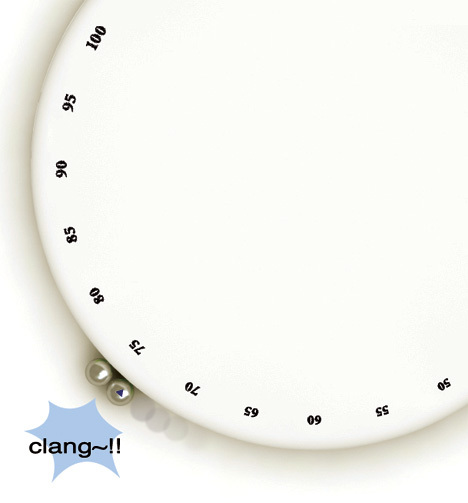 A cool and creative collection of bathroom scales for our weight conscious readers. 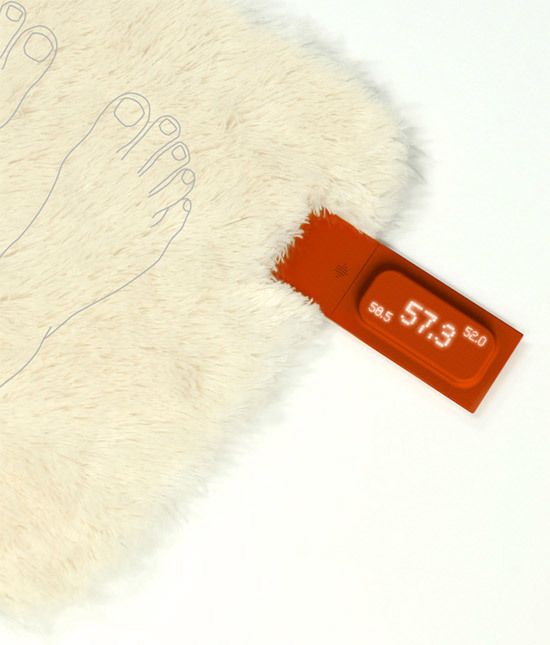 Bath Rug with Scale: Kwon Sunman's Rug with Scale is a combination of a scale with a rug. 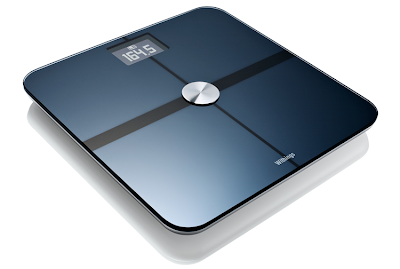 It not only tells your present weight, but also displays your weight in comparison to your previous weight and goal weight. 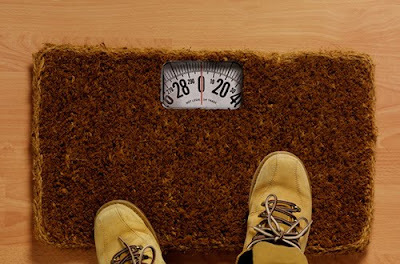 Doormat Scale: Doormat scale that measures your guests' weight! 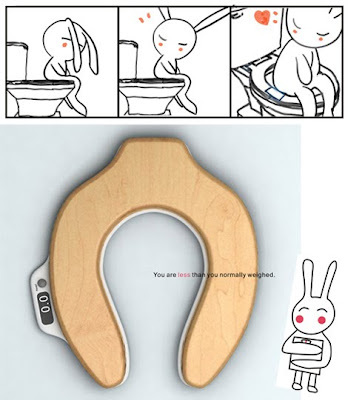 A cool idea! 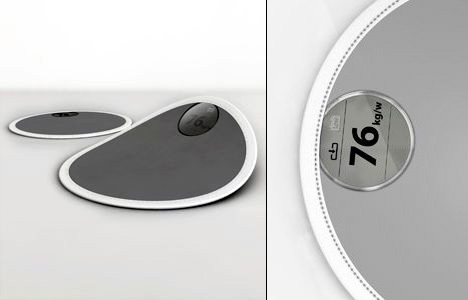 Weighing Seat: The Weighing Seat designed by Atypyk design studio combines a weighing scale and a seat in one design to form a chair. 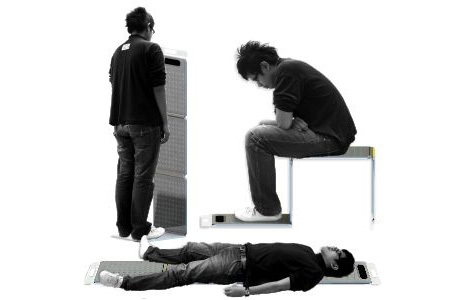 Is sure to help eat less if one sits on this one and eats. 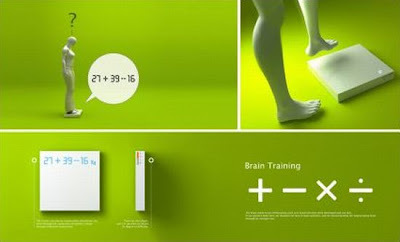 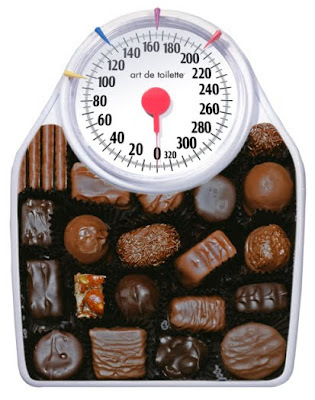 Math Weight: This is an interesting way to check your weight. The scale displays your weight in the form of a mathematical equation involving addition, subtraction, multiplication and division which must be solved before the Math Weight accurately tells your weight. Celebrity Weighing Scales: How much do you weigh compared to your favorite celebrity? 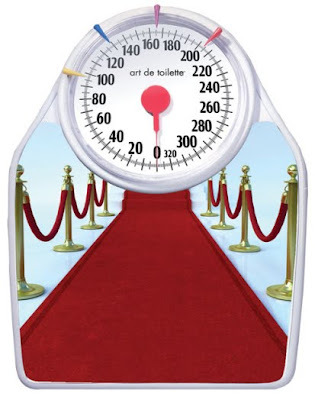 It doesn't show your weight in kilos, grams or numbers, but in celebrities. 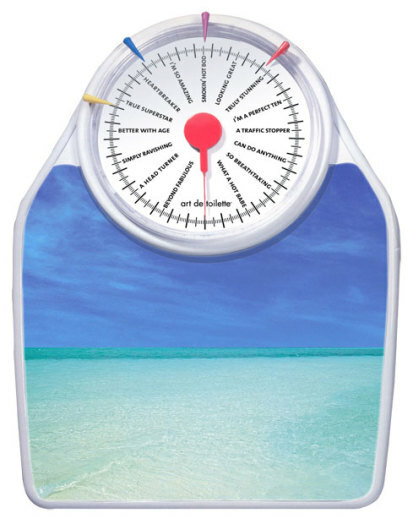 Universal Scale: It's a user friendly and less inclusive scale design that unfolds to all shapes and sizes to make weighing easier. Vage Scale: It's a concept scale from German designer Decker, that has done away with numerals completely and shows actual weight either in green or red relative to your entered ideal weight. 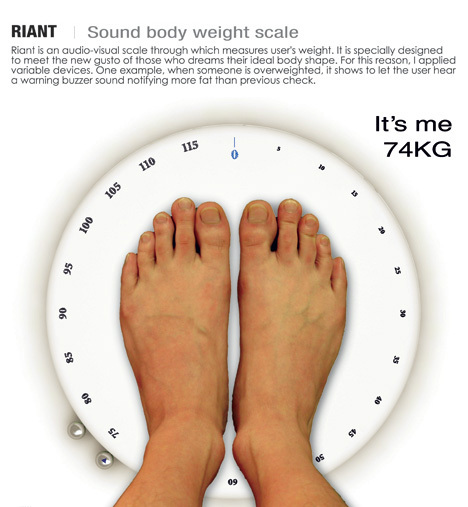 Riant Weighing Scale: It uses a set of pendulums with one knob that stays focused at your previous weight (or goal weight) and the other one that reads your actual weight. 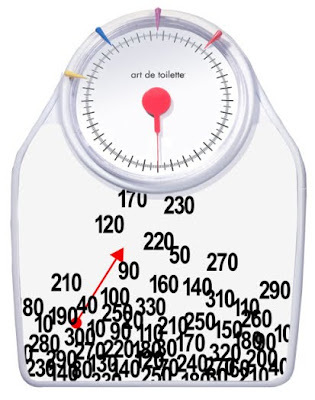 And if you've gained weight since the last time you stepped on the scale, then it rings. 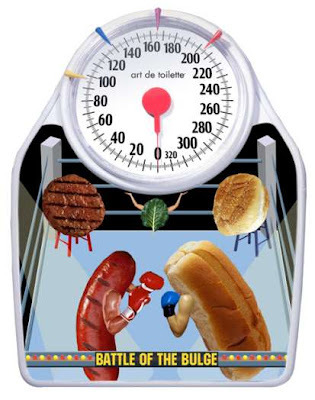 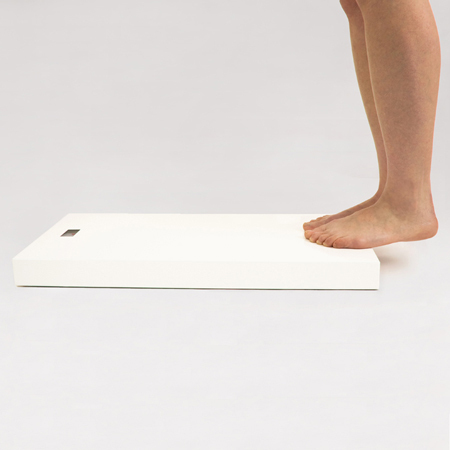 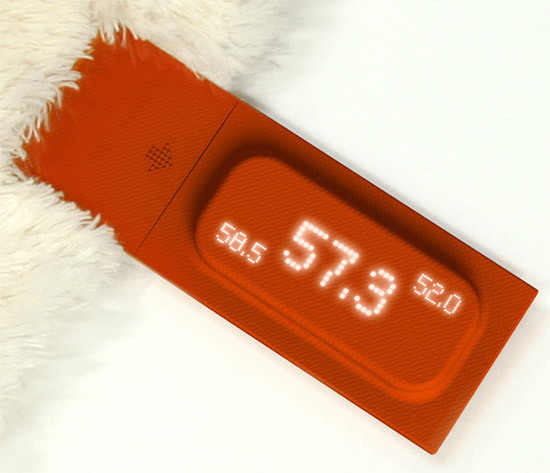 Fullscale weight scale: The design is a novel and fun way to find out how much you weigh? 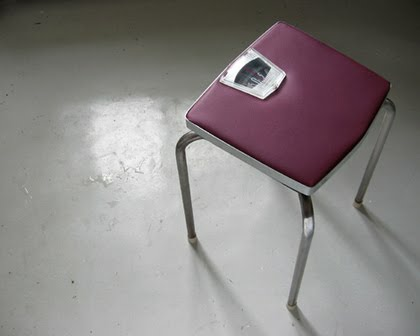 "Stand onto a weighing scale and you see two regions, the "viewing" region and the "foot rest" region. 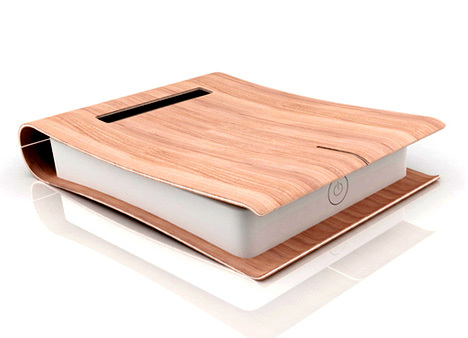 Instead of separating the "viewing" and the "foot rest" region, I took both of these elements and combine them into a singular and harmonious feature." Paper Scale: " The ultra thin flexible scale combines a pressure sensing sheet that relays information to an e-paper display. It's waterproof, easy to clean, and can be rolled up for storage." 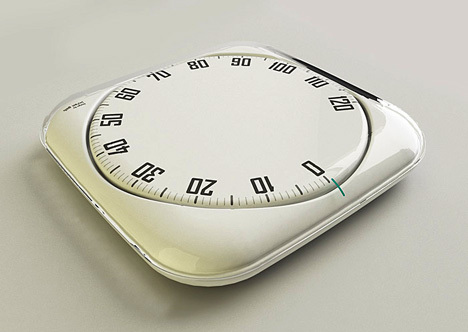 Asimov's First Law scales: Called Asimov's First Law, the collection is the creation of designer Alice. 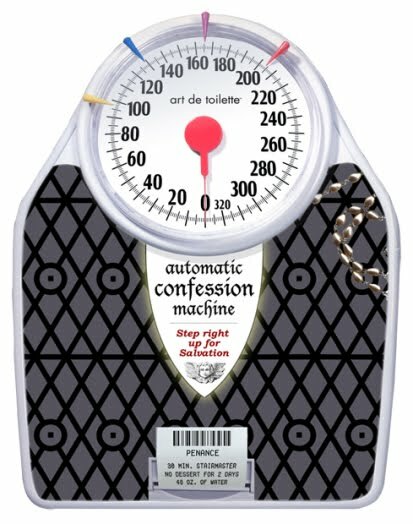 Her three scales are designed in such a manner that it either requires another person to read them or it just lies to you. 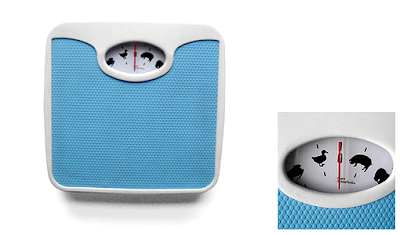 White Lies scales show the user to be lighter and lighter as they edge further and further backwards, so you can choose how much to let the scales lie to you. 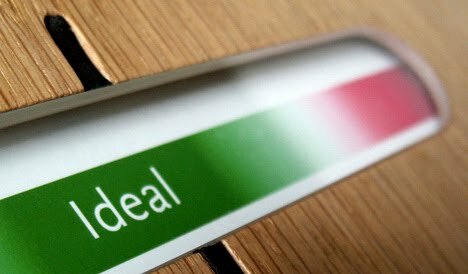 The Half Truth design has a display on the front where one can't see it and it requires someone else to read and decide what to tell you. 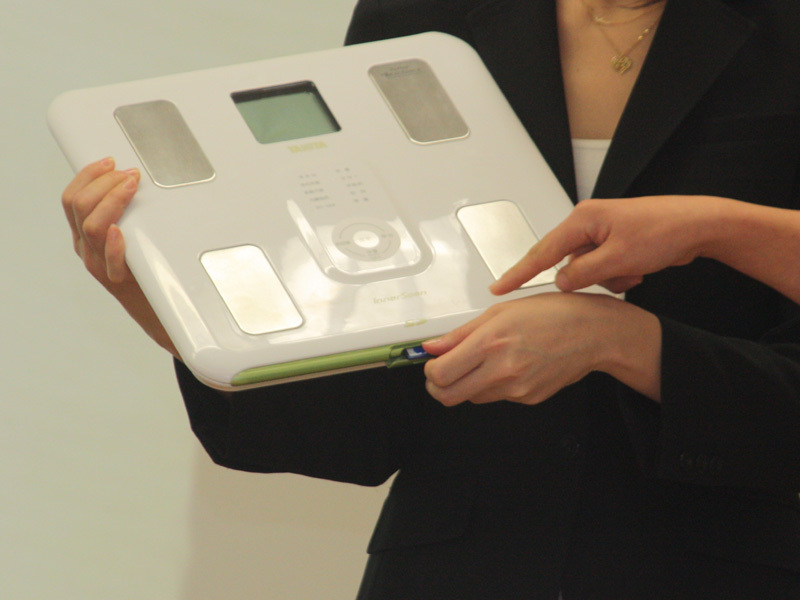 Open Secrets doesn't have a display, instead the user's weight is transmitted to another person's mobile phone. 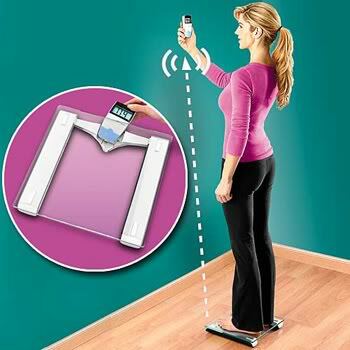 Eye Level Wireless Scale: If you can't read the scale just by standing on it, then this is something to consider. 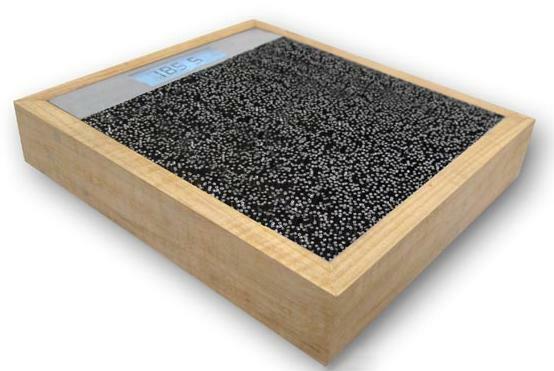 Bathroom Pin Scale: Creation of designer Jim Ruck, the user needs to stands on thousands of pins instead of a platform to weigh. The tightly-packed pins shouldn't be an issue as it would mean that your weight would be more evenly distributed across your feet. Electronic Weighing Scales: Tanita electronic weighing scales come with SD cardslot, PC software and measures more than just your weight. 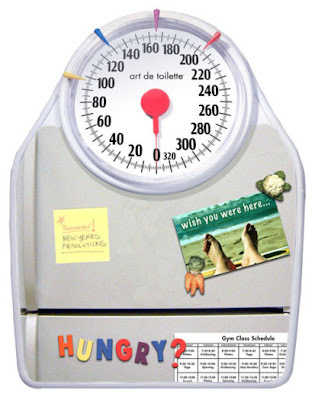 Animal Weighing Scale: This animal scale has images of animals instead of the numbers. It won't give you the exact weight, instead it will make a rough comparison. 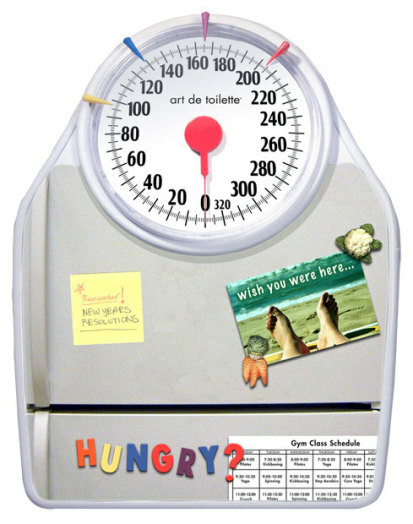 Art De Toilette Scales: These are designed by Wendy Gold of Art de Toilette.